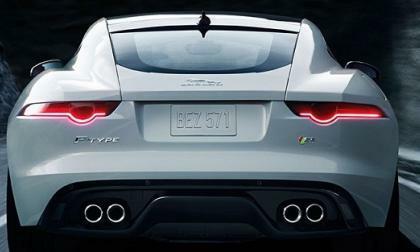 Jaguar’s new slogan is "It's Good to Be Bad" and being bad is accomplished with the new active exhaust system being offered on most of their current models. 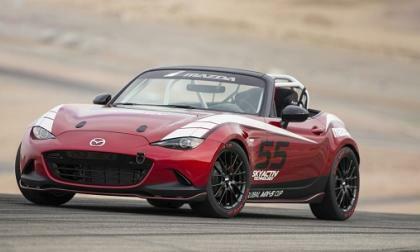 It’s the most fun you will have behind the wheel without going to jail. 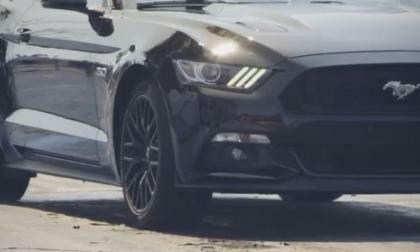 We have already seen several beefed up versions of the 2015 Ford Mustang from various tuning companies around the country, but the new Steeda Q Series Mustang appears to be the strongest horse in the stable – with output reaching up to 775 horsepower. Somewhat buried in the Tesla Q3 shareholder letter was the admission that two powertrain options on Model S will no longer be offered. The significance of the move is debatable. Subaru sells the performance 2015 WRX STI in the UK and the brand is most recommend above all others. 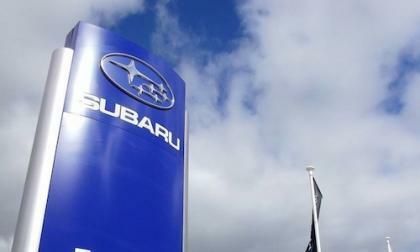 Why did Subaru beat more than 40 rival manufacturers? 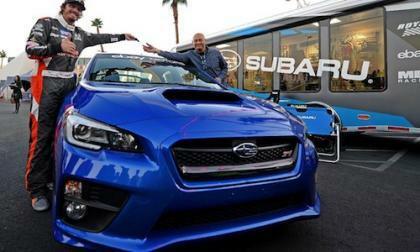 Why is Bucky Lasek handing the keys to a new 2015 Subaru WRX STI to this lucky winner? 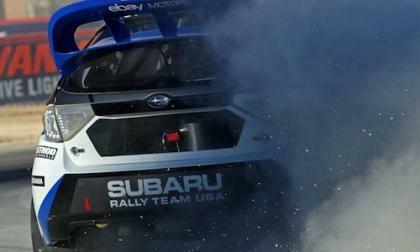 SRT USA closed out the 2014 Red Bull Global Rallycross Season in Las Vegas with another podium. Where did Lasek finish in his 2014 Subaru WRX STI? 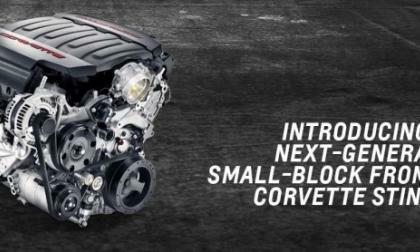 One of the biggest announcements at the 2014 SEMA Show was the introduction of the C7 Chevrolet Corvette Stingray LT1 V8 as a crate motor – giving everyone working on a project car the chance to enjoy the powerful new Corvette engine in the vehicle of their choice. 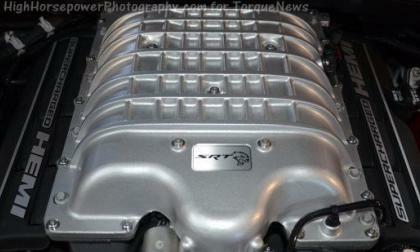 While the new Hellcat Hemi makes the 2015 Dodge Charger the world’s most powerful sedan and the 2015 Dodge Challenger the world’s 6th most powerful sports car, the Hellcat project was suspended for some time with the possibility never starting back up – but persistent members of the SRT team made sure that this supercharged beast did become a production reality. 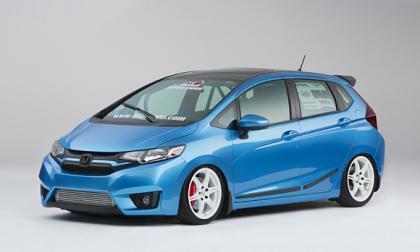 Thinking about modifying your late model Honda Fit? Better get on it! 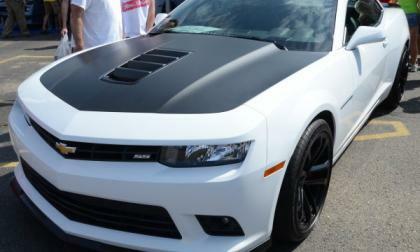 we believe that that Fit aftermarket demand will explode following the SEMA Show. 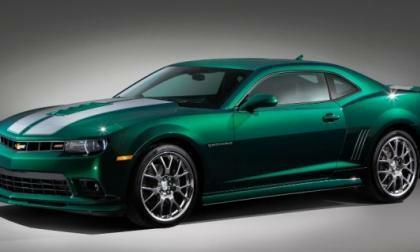 One of the featured vehicles at the ongoing SEMA Show is the 2015 Chevrolet Camaro Spring Special Edition, which is officially renamed the Green Flash Edition after GM ran a contest to name the new metallic green special edition package. 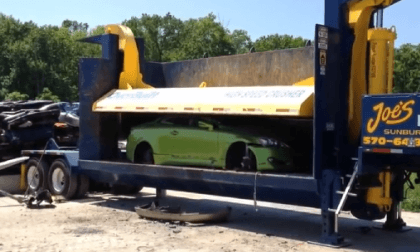 As an owner and fan of the Lexus IS 350 C, this one hurts me to watch. Can you top this hideous 2015 Lexus NX 200t created for SEMA? 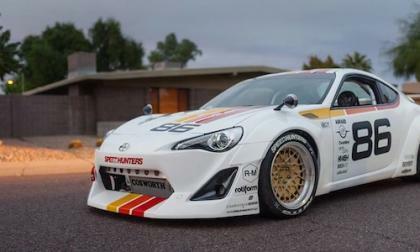 Some of the SEMA show cars really turn us off and this one takes the cake. Can you top it? 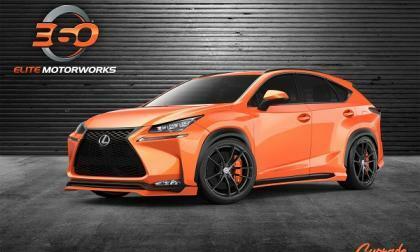 Read more about Can you top this hideous 2015 Lexus NX 200t created for SEMA? 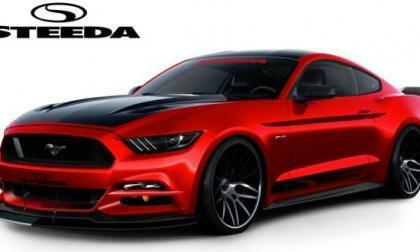 In order to show off just how wild you can make your 2015 Ford Mustang GT by only using the Ford Racing catalog, FoMoCo has offered up the new 2015 Mustang King Cobra – a super modified, high performance pony car that is creating strictly using packages from Ford Racing. 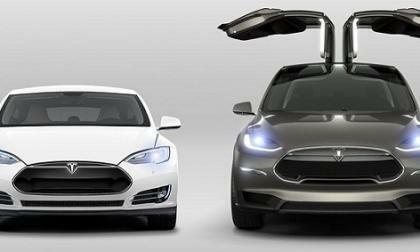 Tesla Motors had an eventful third quarter, highlighted by troubles with a factory shutdown, introduction of all-wheel-drive and autopilot features, and more Model X delays. Here is the rundown. 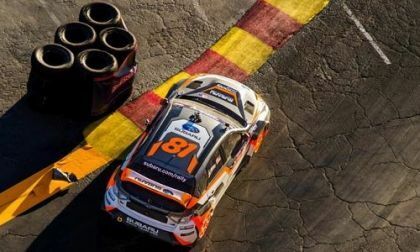 The final 2014 Red Bull Global Rallycross event is underway in Las Vegas and both Subaru WRX STIs are set for the showdown. The sales numbers from around the American automotive industry are in and for the 7th consecutive month, the Chevrolet Camaro has comfortably outsold both the Dodge Challenger and the Ford Mustang – which pushed the Camaro’s lead in the annual muscle car sales race to almost 10,000 units. 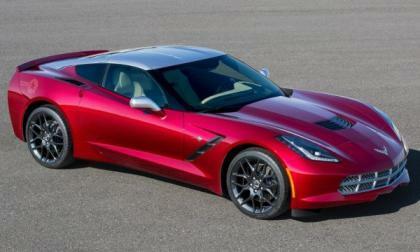 Among the large, centralized General Motors display at the 2014 SEMA Show is a 2015 Chevrolet Corvette Coupe that has been customized by Kiss guitarist Paul Stanley and while this C7 Stingray isn’t as outrageous as others around the show – the Starchild’s little red Corvette is impossible to miss. When it comes to EVs and fuel cells, what is Toyota really thinking? 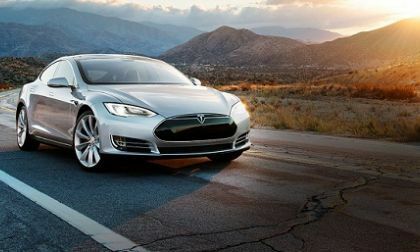 Though there does not necessarily have to be a battle between batteries and fuel cells, it often seems to happen that way. Toyota has been fueling the conflict between the two technologies through its words and actions, but what does the automaker truly think about the future of transportation? 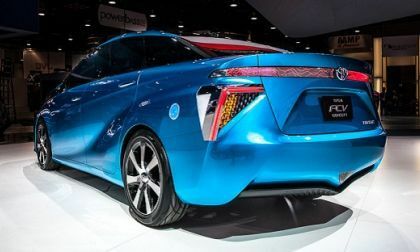 Read more about When it comes to EVs and fuel cells, what is Toyota really thinking? 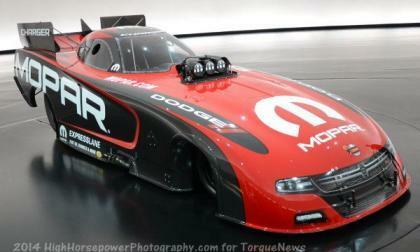 Among the many vehicle debuts at the ongoing 2014 SEMA Show in Las Vegas is the 2015 Dodge Charger R/T Funny Car – a purpose built drag car that will help Team Mopar go after another championship in 2015 with 10,000 awesome Hemi horsepower. 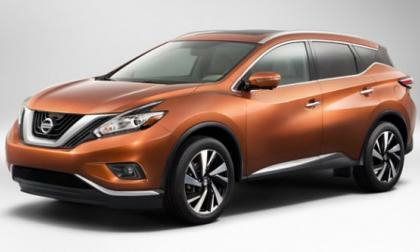 For the first time, the Nissan Murano crossover is being made in the company's Canton, Mississippi plant as the first dedicated export build for Nissan's North American operations. Can you see the boring in this 2015 Lexus RC F? Apparently, the “boring” label no longer works, but critics are hard at work trying to find a way to downplay the most exciting Toyota/Lexus product ever. 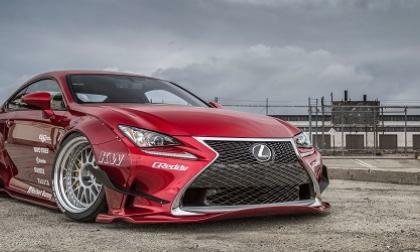 Read more about Can you see the boring in this 2015 Lexus RC F? 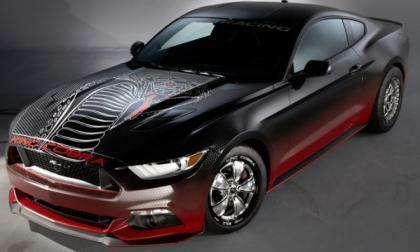 Ford Racing has unveiled their first big power added for the 2015 Ford Mustang GT at the ongoing SEMA Show and with help from the folks at Roush, the new Ford Racing supercharger lifts the output of the new Mustang from 435 horsepower to over 600 horsepower – enough power to push the 2015 Mustang down the quarter mile in the 10 second range. 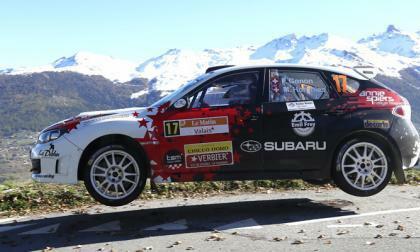 Mark Higgins who set the record at Isle of Man driving the 2015 Subaru WRX STI, came close to a victory at ERC round 10. This time he did it in Switzerland. 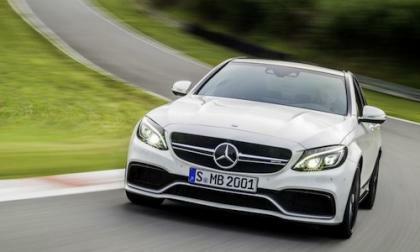 The 2015 Mercedes-Benz C-Class is already taking the lead in sales and positions the brand to take the lead in luxury car sales. 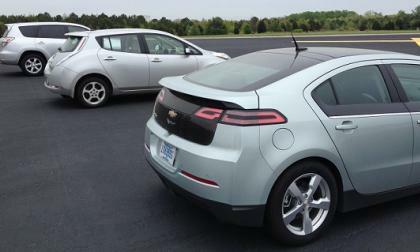 An impressive streak came to an end last month: the current generation of plug-in vehicles delivered fewer copies year-over-year for the first time ever. 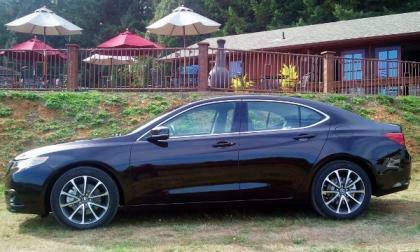 The main culprit was slow sales of plug-in hybrids, influenced by several factors. 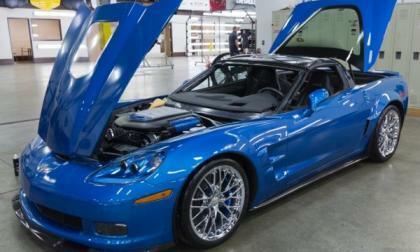 The first Chevrolet Corvette to be repaired after falling into the National Corvette Museum sinkhole is the 2009 Blue Devil ZR1 and as a surprise accompaniment to the highly modified new models at the 2014 SEMA Show – the good-as-new Blue Devil test car made its world debut before heading back to its home in Bowling Green Kentucky. 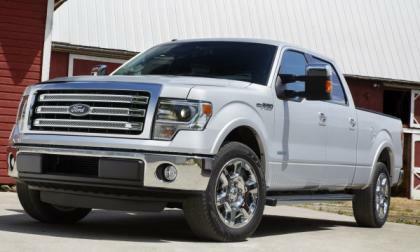 Ford Motor Company has issued a pair of recalls for the 2014 F150 pickup – one pertaining to the function of the rear brake lights and a second that focuses on the passenger’s side airbag system – both of which pose some risk to the occupants of the truck and others on the road around them.